The United States is holding direct communications with members of Venezuela's military urging them to abandon leader Nicolas Maduro and is also preparing new sanctions aimed at increasing pressure on him, a senior White House official said. The Trump administration expects further military defections from Maduro's side, the official told Reuters in an interview, despite only a few senior officers having done so since opposition leader Juan Guaido proclaimed himself interim president last month, earning the recognition of the United States and dozens of other countries. Previous rounds have targeted dozens of Venezuelan military and government officials, including Maduro himself, and last month finally hit the OPEC member's vital oil sector. But the administration has stopped short of imposing so-called "secondary" sanctions, which would punish non-U.S. companies for doing business with the Venezuela government or the state oil monopoly PDVSA. The U.S. official said that Washington had every tool available to apply pressure on Maduro and his associates "to accept a legitimate democratic transition." 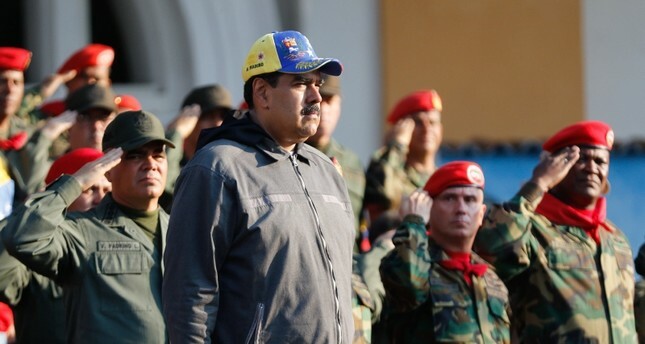 Maduro's government has accused Guaido, who has galvanized Venezuela's opposition, of attempting to stage a U.S.-directed coup.